With this product, you earn 62 loyalty point(s). 62 point(s) = $ 3.72. Strike rich in a complexion-warming choker. 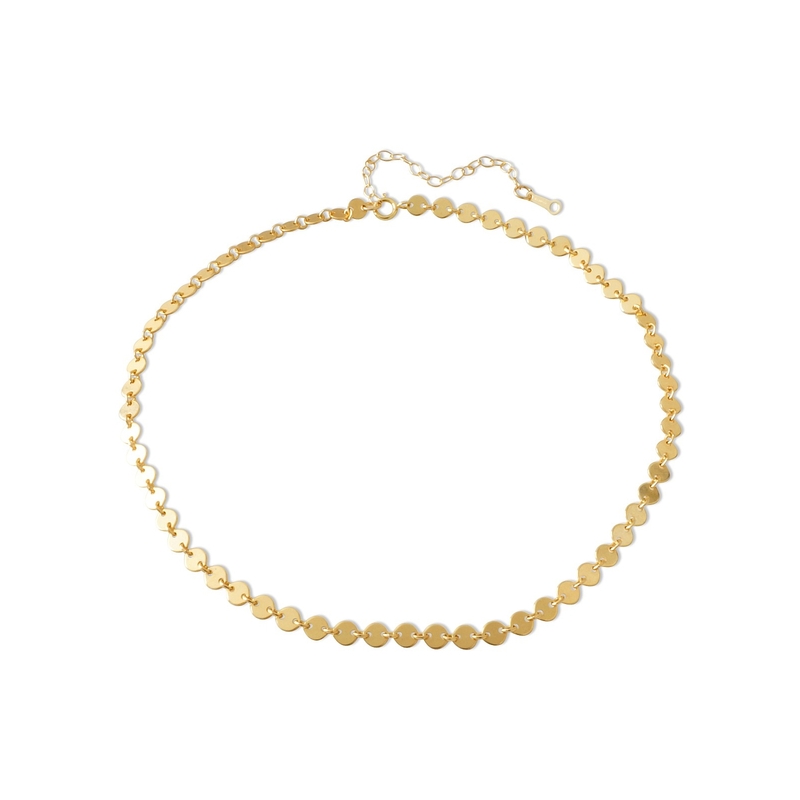 The circle of life comes alive in two ways with this beautiful necklace—though round button-like beads and the complete shape which clasps at the base of the neck. 14K yellow gold filled medallions make this rich choker look like an enviable token of luxury and glamour in the eyes of admiring friends and chic strangers. Also available in 925 sterling silver.